Located in Leadenhall Market, opposite the Lloyd’s building in the heart of the City of London, ASKINOLOGY is spread over 4 floors and fronted with large inviting windows. The basement houses a 3 room clinic offering injectables, mole removal, sclerotherapy, laser hair removal, IPL, fractional Er:YAG laser, radio frequency skin tightening, fat freezing, microneedling, peels and prescription skin care. The cosmeceutical boutique on the ground floor stocks over 120 different products from SkinCeuticals, ZO, and Medik8 with an adjoining consultation room with a skin scanner where clinic customers can also pay with extra privacy. In the facial bar on the mezzanine, clients can enjoy advanced SkinCeutical facials, gentle peels and LED masks. Many clinics’ main goal is to provide the best medical treatment, this really should be a given! ASKINOLGY strives to provide the best customer experience which can sometimes be overlooked in the aesthetic clinics. This is achieved by recruiting, investing in and retaining fantastic staff who are completely client focused. Clients have shown that the ASKINOLOGY model is in demand – approximately 140 clients are seen each week. They have told the world their thoughts with over 425 reviews on Google, Treatwell and Facebook with an average of 4.9 out of 5! 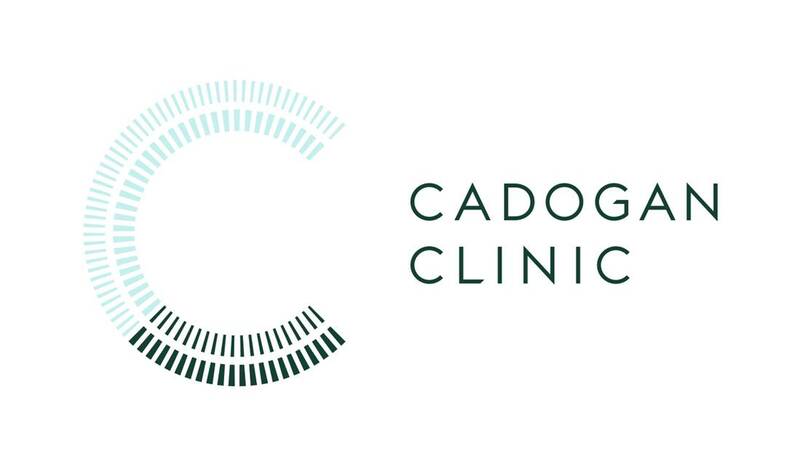 The Cadogan Clinic is a leading cosmetic surgery and aesthetic treatment practice with a team comprising some of the world’s best consultants, hand-picked for their research, innovative ideas and medical finesse. The Clinic features the most advanced equipment and facilities and only the best, evidence based techniques, procedures and products are administered, ensuring excellent patient results and experience. Founded in 2008 by Mr Bryan Mayou, a pioneering plastic surgeon best known for introducing liposuction to the UK, Cadogan Clinic’s ethos is to provide world-leading treatments and surgical innovations in a boutique setting. Specialising in cosmetic surgery procedures, non-surgical treatments and dermatology, the multi-speciality consultant and practitioner body work together to assess and treat patients by their areas of expertise. 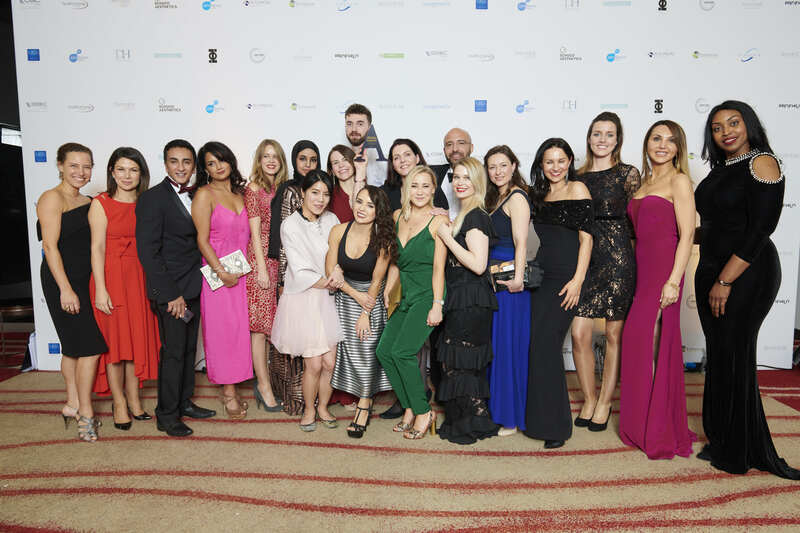 The team of dermatologists, nurses, aestheticians, plastic surgeons, vascular surgeons, cosmetic podiatric surgeons, urologists and gynaecologist are fully integrated, working collaboratively to deliver the very best patient outcomes. The vast range of procedures address skin cancer, mole checks, acne, skin tightening and resurfacing, wrinkles, pore reduction, scar reduction, stretch marks, pigmentation, nail fungus, tattoo removal, hair removal, varicose and thread veins through to cosmetic surgery. The Clinic has always had a pioneering ethos, being the first daycase only cosmetic surgery provider and building on its founder’s heritage (liposuction, skin laser – especially vascular laser - pioneer in the 1980s) to develop and promote new treatments including daycase Brazilian abdominoplasty. This year’s innovations include Crisalix 4D imaging and the introduction of mesenchymal stem cell treatments for aesthetic and rejuvenation purposes. Eudelo is a multi award-winning fusion clinic of cosmetic and medical dermatology in London. We are CQC registered and Dermatologist-led, founded in 2007. In 2016 we opened our flagship premises, enabling us to expand our treatment range to our 7500 patients. Eudelo has 5 Dermatologists, 3 Aesthetic Doctors and 7 Aestheticians. Our strong Dermatology foundation means that we are the only destination needed for everything skin related, whether medical, aesthetic, face or body, providing peace of mind. Eudelo is known for its conservative approach with “Natural Results Guarantee”. Eudelo’s international reputation and high standards have earned it a dedicated following including actors, supermodels, CEOs, diplomats and royalty travelling from all over the world. We are often called upon for second opinions, treating complications and seeing problem cases. Health & Aesthetic Clinic, established in 2011;first CQC registered, doctor led Aesthetic clinic in the Royal Borough of Greenwich. Majority of our patients (out of 2700) do not read Tatler/ Harper’s Bazaar. We provide advanced, safe, evidence-based aesthetic/ beauty treatments to individuals who can/cannot afford Harley Street prices or travel there. We offer prescription/ non-prescription skincare - Alumier, Obagi, ZO, Neostrata, Heliocare, Skinceuticals, Nu-skin; Advanced injectable treatments -Botulinum toxin, dermal fillers, PRP, mesotherapy, Aqualyx, skin regeneration /Bio-remodelling -Hyalual, Profhilo, Allergan ; Syneron Candela diode laser/IPL/Radiofrequency - Laser hair removal, Rosacea, pigmentation, acne scars, skin tightening, eye rejuvenation and much more; Endermologie lipomassage; HIFU (Ulfit, First in UK, face/ Body); LED masks; Micro-needling; Ellman radiosurgery ; Vitamin-drips; PDO-threads; Pronokal /Prolon diet ; beauty /medical grade facials/massages , Zeni, skinade etc. We are committed to education, training, excellence, honesty, and ethical practice. Patient safety, comfort, satisfaction, and well-being is our priority. Our goal is to deliver, (patients’ words) , “friendly” “high standard” “pampered” “home-like” “million-dollar” experiences. Patient’s “confidence” “self -esteem”and “happiness” is “success” for us. We aim to develop a harmonious and therapeutic staff-patient relationship (within the professional boundaries) and create a positive patient experience. The relationship involves effective communication, caring behaviour and is based on mutual trust and understanding. Regular feedback from patients helps to maintain and improve patient care; 100 % of the patients would recommend the clinic. We saw an increase of 87.38% in patient retention. Clinic is Finalist for “Clinic of the year” Safety in Beauty Awards 2016 -2018; “Best Customer Experience” MyFaceMyBody 2016; “Best Clinic ,London” Aesthetic Awards 2016. "Commended" in “Best Clinic London and Best Reception staff UK”, Aesthetic awards 2017. Located in the prestigious No.1 Harley Street, Juvea Medical is an award-winning (Aesthetics Awards, My Face My Body) clinic established in 2011 under the direction and guidance of plastic surgeons. Juvea is a discreet clinic with a modern look and feel. We provide a red carpet service and are results-driven, ensuring our patients achieve their aesthetic desires. The practice ethos has always been to prioritise our patients’ safety and trust. We educate patients on managing their skin concerns and inform them of the latest pioneering treatments in the aesthetics field; which we keep up to date with through our close working relationships with industry pioneers such as Dr Obaji (ZO) who inform us first hand of any significant developments. Our practitioners are highly skilled and deliver outstanding service and results. Since opening our doors, we have treated 10,000+ patients, of which approximately 90% of patients have returned for further treatments. We offer a range of aesthetic treatments and light based therapies. These include laser hair removal using Cynosure’s Elite MPX, laser tattoo removal & skin rejuvenation using the RevLite laser, skincare using Hydrafacial, Dermalux and chemical peels, laser lipolysis with Sculpsure ¬¬(body & submental), Icon – fractional non ablative laser treatment for skin rejuvenation, stretch marks, acne scars and surgical scar treatment, Pelleve – radio frequency skin tightening, ZO products and protocols, anti-wrinkle injections, dermal fillers and hyperhidrosis treatment. As of 2017, Juvea also offer a broad spectrum of popular surgical procedures for our patients including liposuction, all surgical breast procedures and more. LINIA Skin Clinic is a modern clinic launched in September 2015. It is set on four floors in the prestigious Harley Street of London specialising in Dermatology and Laser services, as well as Surgical and Nonsurgical cosmetic procedures using state of the art surgical theatres. LINIA Skin Clinic comprises of five elements: Medispa, Skin and Laser Clinic, Exclusive LINIA Skin Boutique and Women’s Wellness clinic. At LINIA Skin Clinic, we are dedicated to our patients and our aim is to deliver the best results in the most relaxed and professional environment possible, ensuring our patients have peace of mind every step of the way. We aim to provide an outstanding service for all our patients by creating a personalised and effective treatment pathway which allows us to deliver the best results and do what we do best. At LINIA skin clinic we provide a full range of Dermatology and Laser services as well as Surgical and Non-surgical Cosmetic procedures. These include: treatment of skin conditions, skin care at our unique skin shop, anti-wrinkle treatment, rejuvenating treatments, chemical peels, dermal fillers, and laser hair removal. Surgically, we perform rhinoplasty surgery, facelift surgery, breast enlargement and liposuction. We have partnered with the industry such as AlumierMD, Allergan, Gladerma, Intraline, Naturastudios, Thermi, and dermatology pharmaceutical companies such as LEO Pharma, Novartis, and Almiral to bring the most innovative and newest technologies to the clinic. We are also aware that a healthy skin can result in patients looking and feeling healthy. At LINIA Skin Clinic, we have opened the first exclusive skin and make up shop where our clients are offered a skin consultation with one of our experts before being recommended their own personalised skin care regime. London Professional Aesthetics is a highly acclaimed and award winning skin rejuvenation and aesthetics clinic situated in the heart of the city. Combining medical and aesthetics excellence with a friendly and personalised service, LPA has become a leading destination for aesthetics treatments within the capital. As of June 2018, the clinic has treated over 1628 clients. At LPA, each treatment is bespoke to the individual, with support offered from the very first point of contact through to the fully comprehensive aftercare. Clients can choose from a vast treatment menu ranging from LED phototherapy, chemical peels and vitamin IV drips to core aesthetics treatments such as anti wrinkle injections, fillers and facials. LPA plan to keep their treatment menu limited to procedures that have a high record in both safety and patient satisfaction. LPA opened the doors to their state of the art clinic, designed around CQC standards, in Old Street in July 2014 and have advanced way beyond their peers in terms of visibility and notability. This is down to the LPA team being incredibly proactive, passionate and determined to succeed in a competitive market place. LPA’s ethos is to help their clients to identify specific skin concerns, to negotiate a realistic treatment plan (taking into consideration finances, tolerance to treatment procedures and side effects) and to deliver the plan with transparency and safety at the forefront. Clinical Director and Founder, Elizabeth Rimmer (Dip BSc MSc) works tirelessly to provide all patients with the best aesthetics treatments and solutions available, using only the best products and technologies to provide outstanding results with minimal downtime. Established in 2016, The Clinic by Dr Mayoni is an aesthetic centre of excellence based in Honor Oak Park in SE London, delivering the highest quality treatments in a relaxed, comfortable and luxurious setting. The Clinic was founded by medical director Miss Mayoni Gooneratne (MBBS, BSc, MRCS) - a highly-qualified surgeon and aesthetic doctor with almost two decades of medical experience, who is renowned for her subtle yet transformative results. Dr Mayoni has a passion for holistic approaches to women’s wellness: as a mother of three children herself, she dedicated the focus and ethos of her clinic to helping women restore their health and self-confidence through a combination of aesthetic treatments, skincare and wellness approaches with as little guilt as possible! The ‘Patient Journey’ is held at the centre of everything we do and underpins our entire business structure (please see attachment). The Clinic is one of just three in the UK chosen to be a centre of excellence for feminine rejuvenation treatment Geneveve. Other aesthetic treatments offered include wrinkle relaxing injections, dermal filler injections, ULTRAcel skin tightening and cosmeceutical skincare - alongside additional beauty and spa services, such as massages, manicures and pedicures and nutritional services. In the two years since its inception, The Clinic has treated over 2000 patients, 70% of which are repeat clients. Building on a strong, personal rapport with our patients, we have seen the business grow by 20% in the last year alone. The Clinic also regularly hosts highly popular successful educational evenings, brand events and community occasions - attended by patients, friends and the wider local public.